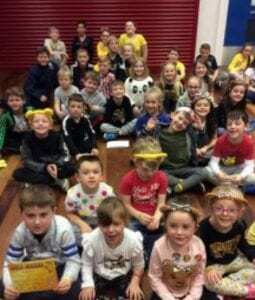 The pupil voice helped to organise a fantastic fundraiser in school for Children in need. 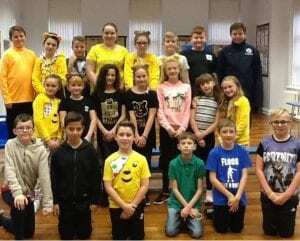 Each class came to school in non- uniform and were given a special glow in the dark wristband for raising funds for this fantastic charity. 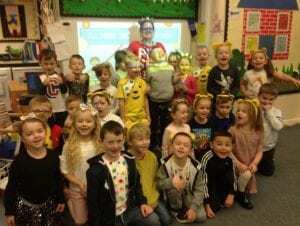 We all had a great day and raised a lot of money for children in need. 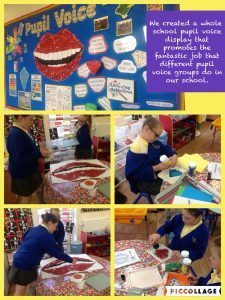 At Our Lady of Lourdes, we know how important it is that all of our voices are heard. 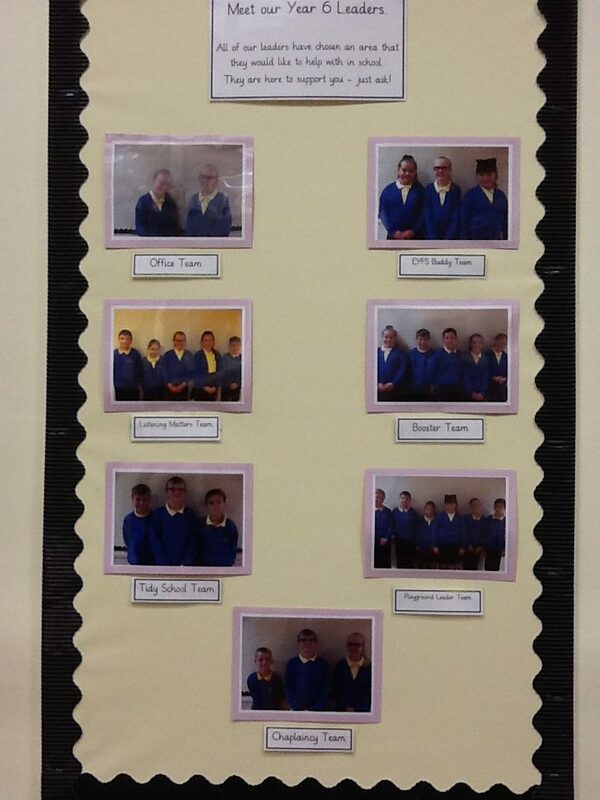 Over the last half term, children voted for their School Council representatives. As well as this, in Year 6, children have worked hard over the last term to develop a Leadership Team. This Leadership Team will allow children in Year 6 to use their strengths to help with key areas of the school. 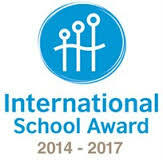 We look forward to seeing our School Council and Year 6 children develop further as key leaders in our school. 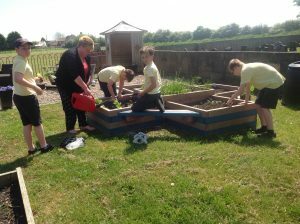 Eco club have been very busy re-planting and watering our planters this week. 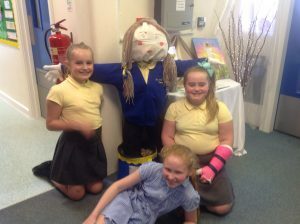 The school council and pupil voice have had fun this afternoon creating a scarecrow for the community competition. 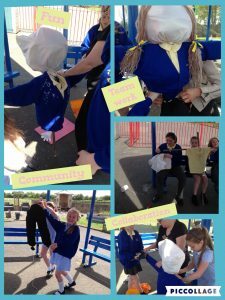 We worked together to create Sally the scarecrow to represent our school and to show how children in our school community work together to let their light shine. 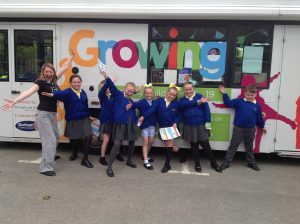 Members of our pupil voice group spent time on the health bus today, where they found the answers to questions that the children in our school were a little unsure about. They made notes and reported back to our school family. 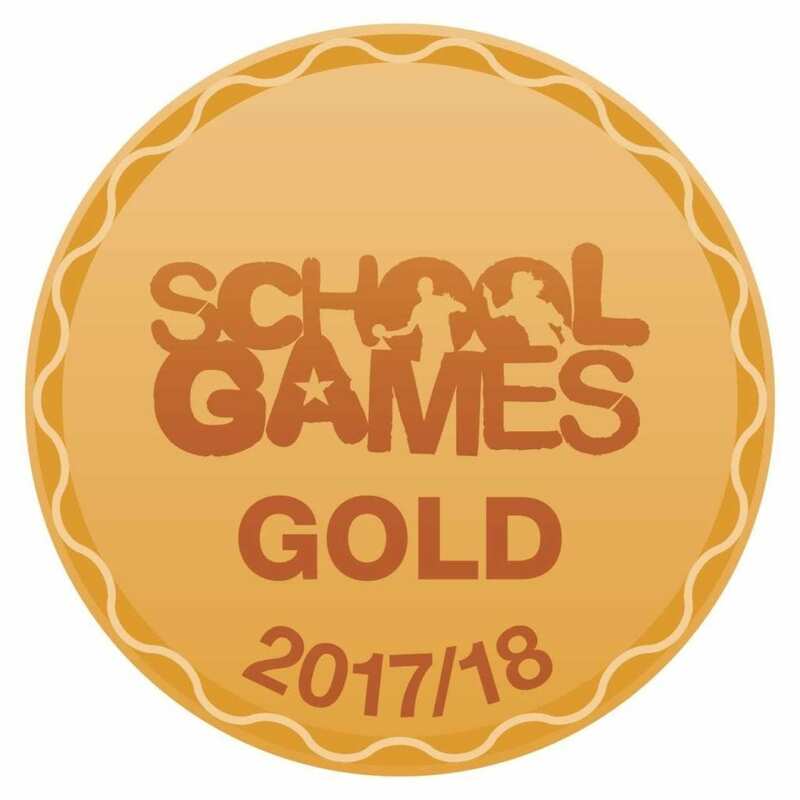 The playground leaders have done a fantastic job today leading some playground games for the younger children in our school. 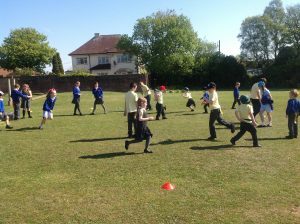 A great time was had by all children and it is great to see the children having so much fun working as a team. We have been working in partnership with our Parish to promote the true meaning of Easter and to raise funds for charity by supporting the ‘Real Easter Egg’ campaign. 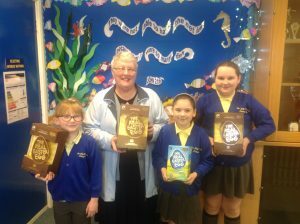 The Mini-Vinnies have promoted the ‘Real Easter Egg’ campaign by holding a whole-school poster competition, which encouraged all children to share the Easter story. They have also sold a fantastic 78 Real Easter Eggs, which are the only eggs that share the true meaning of the Easter story. 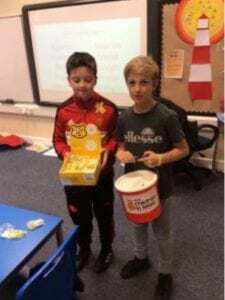 In total, the Mini- Vinnies have raised over £300 for good causes! 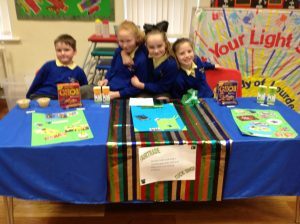 Pupil voice have been busy today promoting the re-launch of our fair trade tuck shop. After designing a questionnaire and listening to the views of children in school, new products will be on offer after half term. 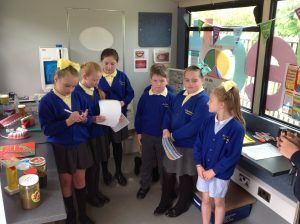 Pupil voice promoted the new tuck shop to parents at our coffee afternoon. 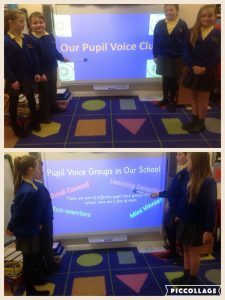 Our pupil voice leaders attended a governors meeting this week, where they prepared a presentation for governors about their role in school. 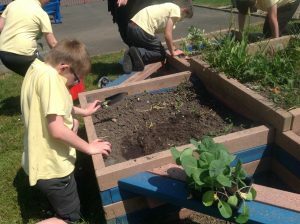 The governors were very impressed with their work and are looking forward to attending some of our meetings.